The tender tips of asparagus are emerging with much trepidation after a gruelling winter followed by a false start to spring. I not only adore their unique flavour but the joy that asparagus are one of the only foods which even the Queen can delight in eating with her hands. 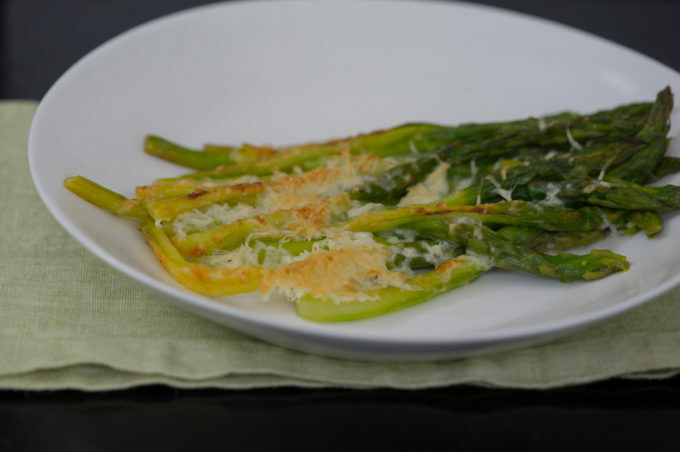 Since we are currently straddling two seasons, I feel this recipe is apt: asparagus gratin; the flavour of a spring vegetable served hot under a blanket of melted cheese to counteract the chill of early spring. 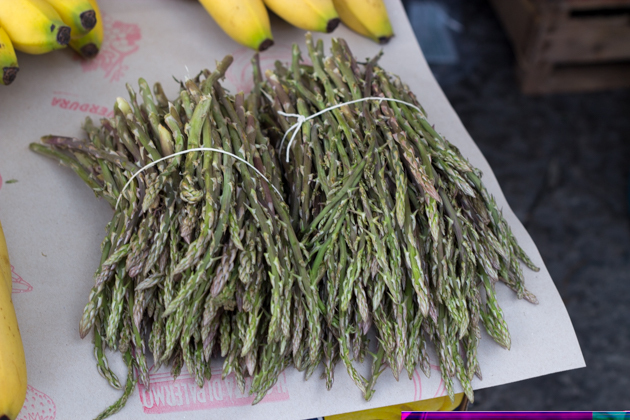 It is also a simple recipe so we can spend as much time outside as possible soaking up some much needed Vitamin D. Tender stalks of asparagus with the woody bottoms snapped off are briefly steamed and dusted with shavings of Parmigiano-Reggiano. The whole thing is whacked under the grill until the cheese has turned crunchy and golden.